Are you struggling to transition from thick downward stroke to thin curve? Then you need to work on your wrist control. 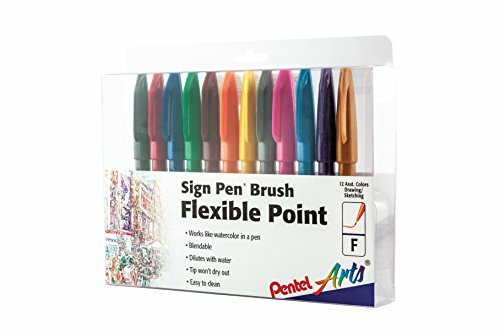 Many people have this problem when they start practicing brush lettering, whether with a brush marker or thin brush pen. It can be even more difficult if you are using a very flexible tip. Here's the problem, you want to get that letter done so quickly that you forget to take it slow. Yes, it's a matter of speed and wrist control, although sometimes I find that changing the angle of your brush pen can make a big difference. What happens is you press harder to do your thick downstroke but you lift too fast to transition back to a thin stroke at the bottom. Or you start with a thin stroke and you start pressing hard too quickly. Sometimes we forget that we are lettering and just do the strokes as if we were writing with our normal handwriting. You need to really show down, especially when you are a beginner. Don't go comparing yourself to time lapse videos on Instagram. Or that pro that has been doing it for 10 years. When doing those curves and transitions, think of it like driving on a curved road. You don't just turn your wheels as soon as you see the curve and slam into a light pole, you do it slowly, you follow the road and only turn the wheels as much as you need to get around the curve. Other times it may not be be speed but the way you hold your pen. Try experimenting with different angles to see if you can find one that works better for you. I find that if I tilt the pen at a more vertical angle I can do the curves easier. But, that totally depends on you, what you want your letter to look like, and what tool you're using. So my point, try different angles, don't force yourself to hold it a certain way because someone else told you you have to. Good old practice never hurt anyone, actually, it only helped. So to help you practice I created these worksheets. Use them to work on your wrist control and curves. Best to do these before you start working on a project so you can avoid shaky hands. I used the Tombow fude brush pen to create them so that would be the best pen to practice as well. 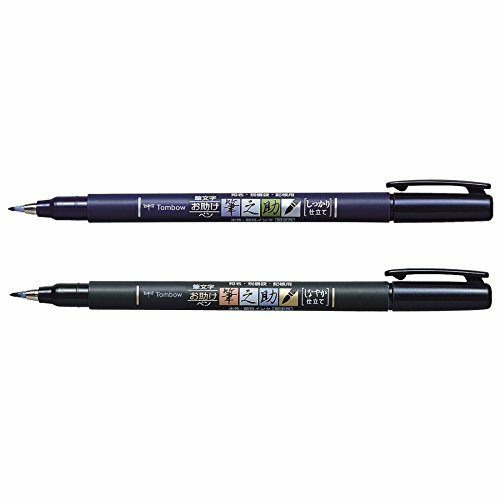 But the Pentel touch with the flexible tip is great too. Checkout my affiliate links below and grab your own set.